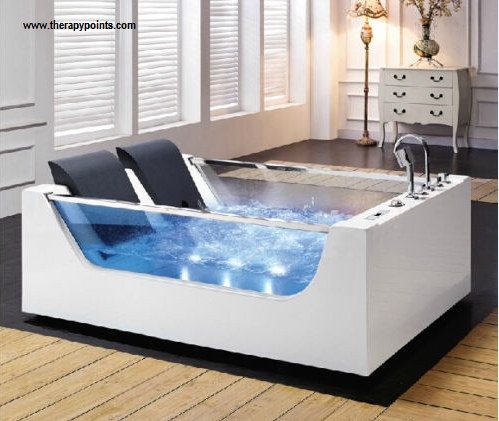 Use of water in order to benifit therapeutic effects is known as Hydrotherapy. For longtime water is used for therapeutic purposes. Natural warm water is used for the development of spas. Water therapy has many positive effects on the diagnosis of any disease. These are the tubs that are made up of stainless steel. There are different sizes of tubs. Small baths are used for the treatment of the limbs. Large baths are used where whole body treatment is required because they have the capacity to sit in them. There is an electric pump that creates unrest. Sometimes compressed air is used that causes mixing of air and water into a dark flood. Whirlpool effect the incentive of skin surface mechanically. Stimulation of mechanoreceptors and thermoreceptors is responsible for the relief of pain. Along with this, the temperature of the tissues also increases because of condition heating. This will lead to an increase in the blood flow. For the treatment, there are 20 minutes with a temperature range of about 39-45 c.
There are some following conditions. There are many types of treatment use in physical therapy. It is designed to help decrease pain during treatment. There are some goals behind this treatment. These goals are as follow. There is a rare risk in contrast bath. A patient may face a problem if water is too much hot. The same case will be in case of too much cold water. Too much hot water causes to open the arteries which are harmful to the patient. If you are using too much cold water it will close the arteries which is also very harmful to the patient. Sensory stimulation that is hot and cold receptors in an alternate manner in the skin is responsible for its effects. Neural accommodation occurs due to rapid change in temperature between two extremities. This alternate stimulation is responsible for the inhibition of pain gait mechanism. There are two baths filled separately. The temperature of one bath is hot that is provided at 40-45 c. The temperature of cold that is at 15-20 c. Start and end the treatment by a dip in the hot bath. Dip time in hot water is about 3-4 min. The time in cold water is 1 min. The whole cycle of treatment is repeated three or four times because the total session is about 15-20 min. Swimming is the best exercise that is used in hydrotherapy. Cycling plays a vital role in exercise. A useful exercise also contains running, walking and stretching.